Peter Balakian’s Ozone Journal is a sequence of 54 short sections, each a poem in itself, recounting his memory of excavating the bones of Armenian genocide victims in the Syrian Desert with a crew of television journalists in 2009. Recalling these memories resurfaced others — the dissolution of his marriage, his life as a young single parent in Manhattan in the ’90s, conversations with a cousin dying of AIDS — creating a montage of history as lived experience. 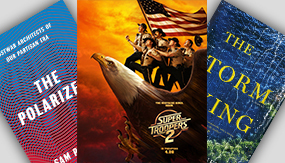 Bookending this sequence are shorter lyrics that span time and location, from Nairobi to the Native American villages of New Mexico. Through these poems, readers are reminded of a history of atrocity and trauma, as well as the beauty and richness of culture and the resilience of love. Balakian is Colgate’s Donald M. and Constance H. Rebar Professor in the humanities, a professor of English, and director of creative writing. 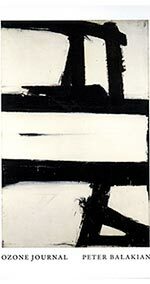 Vise and Shadow draws into conversation such disparate figures as W.B. Yeats, Hart Crane, Joan Didion, Primo Levi, Robert Rauschenberg, Bob Dylan, Elia Kazan, and Arshile Gorky. 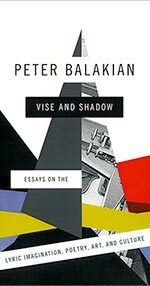 In these essays, Colgate Professor Peter Balakian offers an innovative way to think about the power of poetry, art, and history, trauma, and memory. He reveals how the lyric imagination of these artists grips experience, “shadows history,” and “casts its own type of illumination,” creating one of the deepest forms of human knowledge and revealing sobering truths. 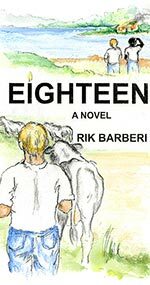 Eighteen is a novel in which the weight of family history collides with one boy’s emerging moral compass. In 1957, on the day that he turns 18, Milton Van Nuys is confronted with decisions most people spend their lifetimes avoiding. Memories, beginning with his father’s death 10 years prior, frame instances of greed, racism, and conflicting loyalties that pull Milton in different directions. His struggle is not only to identify the good, but also to act on that knowledge as he is propelled to end his day in a way he never would have foreseen. 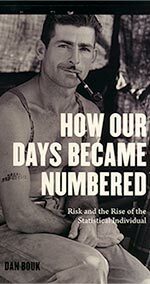 How Our Days Became Numbered tells a story of corporate culture remaking American culture — a story of intellectuals and professionals in and around insurance companies who reimagined Americans’ lives through numbers and taught other Americans to do the same. Making individuals statistical did not happen easily. Legislative battles raged over the propriety of discriminating by race or of smoothing away the effects of capitalism’s fluctuations on individuals. Meanwhile, debates within companies set doctors against actuaries and agents, resulting in elaborate, secretive systems of surveillance and calculation. 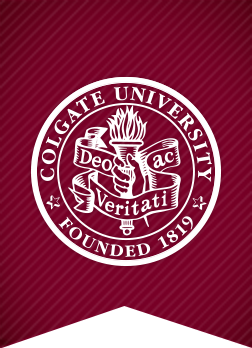 Colgate history professor Dan Bouk reveals how, in a little more than half a century, insurers laid the groundwork for the much-quantified, risk-infused world that we live in today. 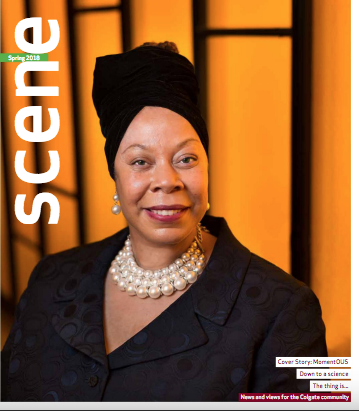 In the early 1980s, Mary Hall is a little girl growing up in poverty in Camden, N.J., with parents who were “great at making babies, but not so great at holding on to them.” After her father leaves the family, she is raised among a commune of mothers in a low-income housing complex. Then Mary’s mother sends her away to Oklahoma to live with her maternal grandparents, who have also been raising her younger sister, Rebecca. The result is a family story like no other. Living in Oklahoma, Mary gets a new name and a new life, but she’s haunted by the past. Mary is at college when her sisters start to get back in touch. With each subsequent reunion, her family becomes closer to whole again. 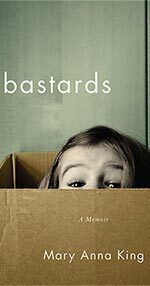 Moving, haunting, and at times humorous, Bastards is about finding one’s family and oneself. 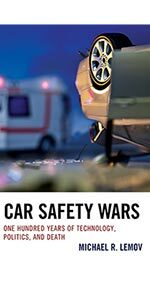 “equivalent of war” by the Supreme Court, the battle for automobile safety was won by consumers and safety advocates after decades of defeat. The major victory was the enactment in 1966 of a groundbreaking federal safety law, which has cut highway death and injury rates by more than 70 percent. But the safety wars have not ended. Certain companies have for years failed to report defective vehicles, leading to countless injuries and fatalities. These events warn that safety laws and agencies created with good intentions can be corrupted and strangled over time. This book suggests solutions but shows that safer cars and highways are a hard road to travel. 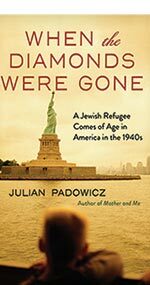 When the Diamonds Were Gone concludes a four-installment account of Julian Padowicz’s escape with his mother from Soviet-occupied Eastern Poland during the Holocaust. It is the story of his first 13 years in America as he struggles to fit his war-traumatized psyche into the American way of life. 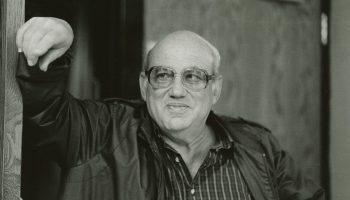 As with his prior three books, Padowicz presents his tribulations with a vein of humor, despite an underlying dark nature. 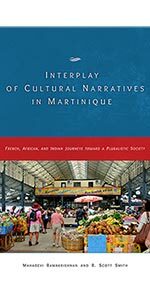 This book explores the history of immigration and development of cultural identities on the island of Martinique from 1635 to the present, with particular attention to the major cultural groups — African, French, and Indian — as well as the role of the indigenous Caribs in cultural hybridization. An interdisciplinary study of intertwined adaptive strategies to emigration and resettlement, it provides insight into the complicated tapestry of contemporary Martinican identity, including the island’s chosen status as an overseas department of France. To help navigate nearly 400 years of complex history, the authors provide a glossary and questions for reflection. Mahadevi Ramakrishnan is a senior lecturer in Romance languages at Colgate. 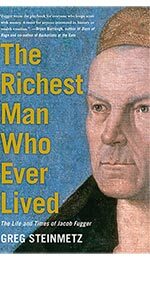 Sixteenth-century German Jacob Fugger was the grandson of a peasant, but by the time he died, his fortune amounted to nearly 2 percent of the European GDP. In an era when kings had unlimited power, Fugger had the nerve to stare down heads of state and ask them to pay back their loans — with interest. A force of history, he helped trigger the Reformation and likely funded Magellan’s circumnavigation of the globe. His creation of a news service earned Fugger a footnote in the history of journalism. This is more than a tale about the most influential businessman of all time. It is a story about palace intrigue, knights in battle, family tragedy and triumph, and a violent clash between the 1 percent and everybody else. Winning the MVB (Most Valuable Brand) (Lulu) by Mike Kresch ’91 offers quick, hands-on digital and offline tactics for growing one’s personal brand. 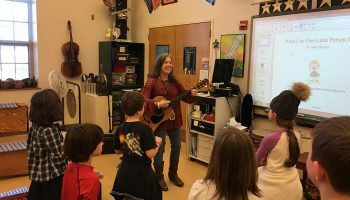 “Leaps & Bounds” by Barbara Schriever Patrick ’92, about life after the Sandy Hook Elementary School shooting, has been published in Listen to your Mother (G.P. 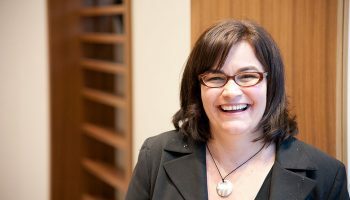 Putnam’s Sons; Ann Imig, editor), a collection of essays about motherhood. Humanism: The 10 Most Asked Questions by John Sias ’52 is an e-book designed to provide an introduction to the topic of humanism. One in five Americans fits the definition of a humanist, which emphasizes that a person does not have to believe in a supernatural being to be a good person and lead a good life. Shipbreaking by Robin Beth Schaer ’93 (Anhinga Press) is her first collection of poetry, which charts an intimate and interstellar odyssey where seas rise, mastodons roam, aeronauts float overhead, bodies electrify, and a child is born as a ship wrecks in a hurricane.